We have spoken a couple of times on the podcast recently about Empires At War – a company that sells ready painted MDF scenery, and I have lamented the fact that they only produced their buildings in 28mm. Well, that has now changed. 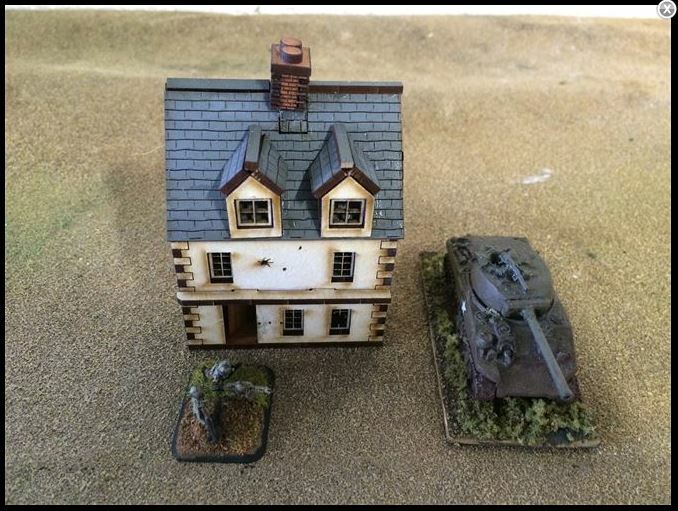 They have now released their first ranges of 15mm buildings. The largest one on offer is their Normandy range – this currently has 11 buildings in it, including a rather nice church. If you wanted ready-painted MDF scenery, with a colour scheme a bit different to 4Ground, then these just might be the thing you are looking for. They also have a small range of 3 Timber Framed buildings. Hopefully their other ranges will not be far behind in being converted.